How often have you come across a Rs40 lakh (US $100,000) silk saree? 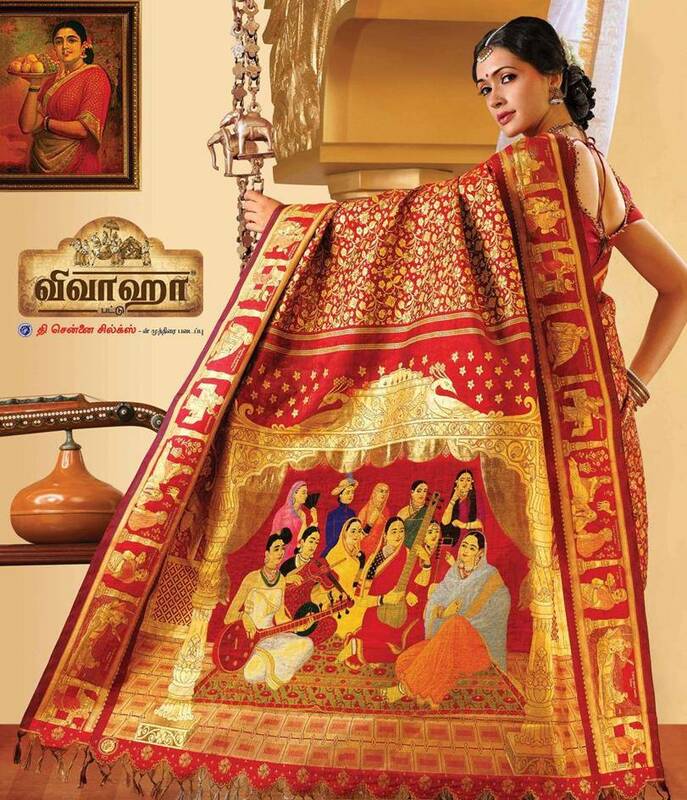 Chennai Silks, a textile unit has come up with one of its kind and it is seeking an unmistakable entry into the Guinness Book of World Records for being the most unique and expensive saree. The exceptionally stunning saree is meticulously woven with 12 precious stones and metals to depict 11 of Raja Ravi Verma's popular paintings. 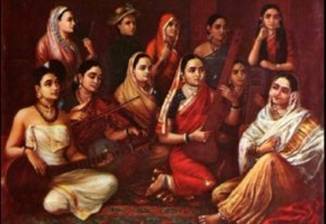 Explicitly projected is 'Lady Musicians', one of the painter's very famous works that displays women belonging to diverse cultural backgrounds. Besides, the border of the saree pictures 10 other paintings of the artist that pays tribute to 20th century artist. The best part of the saree being that the women in the paintings are intricately hand-woven and beautified with jewels of gold, diamond, platinum, silver, ruby, emerald, yellow sapphire, sapphire, cat's eye, topaz, pearl and corals. 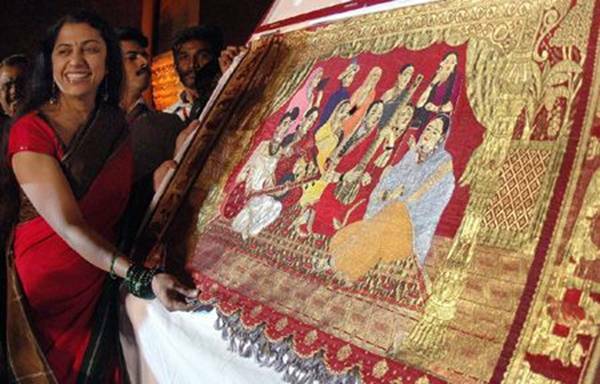 Already in the Limca Book of Records, this 40 lakh saree will be the first silk saree that required the use of 7,440 jacquard hooks and 66,794 cards during the weaving process. Moreover, a group of consummate workers took nearly 4,680 hours to complete the work. 0 Responses to "Most Expensive Saree of the World"